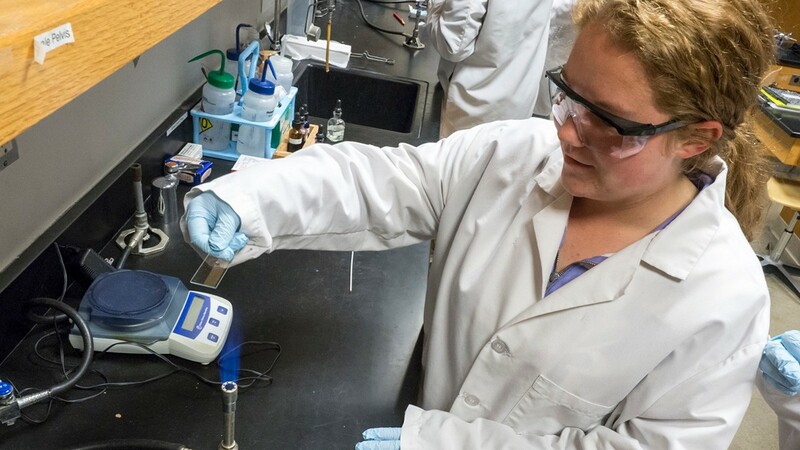 The mission of the Science and Health Department at UC Clermont is to provide outstanding, comprehensive undergraduate programs for careers in the biological and chemical sciences and in allied health professions. We strive to nurture a classroom environment that demonstrates and inculcates in our students the understanding and ability to acquire and critically interpret knowledge of basic facts and theories of the basic and clinical sciences; add to the body of scientific knowledge through research; and encourage our students to communicate their understanding to others. We use every opportunity in our classrooms to encourage curiosity, propose hypotheses, construct scientifically valid tests for hypotheses and nurture critical thinking skills. We teach our students the tools needed to create hypothetical answers to new questions, to "make an educated guess." Our laboratories emphasize hands-on experiments or manipulations that demonstrate principles presented in lecture. Each student will be taught the use of specialized scientific or clinical equipment and the performance of important lab or clinical techniques. We provide a classroom environment that favors the learning process through small class size and lively classroom discussions. We test in a manner which enhances student improvement to more effectively engage them in their learning process. We believe that all of the material we teach should relate directly or indirectly to a student's life or professional interests. Our curriculum is organized around these shared values.